Mingus Mountain Law Group Serves Prescott, Prescott Valley, Sedona, Flagstaff, and all of Northern Arizona. Mingus Mountain Law GroupInjured? Now What? It is no secret anymore that insurance companies want to settle injury claims quickly, and as cheaply, as possible before you hire a lawyer. Settling a claim fast and out of court is much less costly for the insurance company, and you, than a lengthy litigation process. But beware, a quick settlement is usually not in your best interest. If you have suffered serious injuries which could be permanent, you could be waiving some of your bigger damages, and compensation, if you settle quick. Before you ever accept an offer, call us to speak to an experienced attorney, free of charge, to discuss your offer from the insurance company. Use strong discretion in what information you provide to the other driver’s insurance. If you were involved in an auto collision that was not your fault and you suffered injuries, you could be contacted by a claims adjustor for the other driver’s insurance company. Use strong discretion in what information you provide to claims. You should not sign any medical authorizations, and should not agree to a “recorded” statement. If you do talk to the the claims adjustor, tell the adjustor what part of your body is hurting, and that you will be continuing to receive treatment. If you do not feel comfortable talking to the claims adjustor, call us today. There are times when an injured victim will make a statement to the claims adjustor which is not favorable to their case. Do not hesitate to call for a free consultation to discuss the facts of your case before disclosing your facts to a claims adjustor. Arizona two year statute of limitations. In Arizona, the deadline, or “statute of limitations,” that an injury claim must be resolved is two years from the date of the injury causing incident. In some cases, the statute of limitation can be six months, or 1 year. Arizona has a strict liability dog bite statute limiting the victim to one year. If you have been injured by a public entity (city bus, school district, county employee, etc.) you must serve a Notice of Claim on the proper representative of that entity within six months of the incident to preserve your claim. A.R.S. 12-821.01(A) provides the requirements of such a Notice, including the content the Notice must contain. In most cases, with two years to consider an offer of settlement, you have sufficient time to agree to an offer that may have been conveyed by the defendant insurance company. So don’t feel pressured. If you are still receiving medical treatment for your collision related injuries at the time of an offer by the insurance company, you likely do not want to accept the offer as your damages are still incurring. It is not always necessary to hire an attorney to obtain a reasonable settlement in smaller claims. If you were involved in a minor fender bender, and did not suffer injury, then you likely can resolve the property damage to your vehicle with the insurance company not involving an attorney. However, if there is a dispute about who is at fault, then you should strongly consider consulting with an injury attorney. Also, if you are involved in an auto collision where the at-fault driver has minimal insurance, or no insurance, you should consult an attorney. Most attorneys who handle injury cases charge a “contingent fee.” This means, they will receive payment through a percentage of your settlement or result. Although the contingent fee percentage could be the same for most injury attorneys, not all attorneys are the same. This is why you should strongly consider hiring an attorney whose practice is only personal injury litigation. 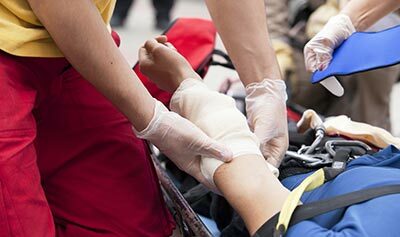 By focusing only on personal injury litigation, that attorney will be more familiar with the claims process, how to handle confusing medical provider liens, how to dispute common defenses asserted by the defendant insurance company, and ultimately, how to obtain the true compensation you deserve for your injuries. Call us for a free consultation as soon as you have been injured. Hiring an attorney sooner than later is definitely advantageous for you, which could result in more compensation in your pocket. Once you hire an attorney, the defendant insurance company can no longer bother you with harassing phone calls. In most cases, crucial evidence will need to be secured to prove your case. More often than not, the farther from the incident, the more likely evidence will be misplaced, concealed or destroyed. Witnesses become more forgetful the more time that passes from an incident. Here at Mingus Mountain Law Group, PLLC, we practice only personal injury litigation. If you have been injured by the recklessness of someone else, we want to help you. Call us today for a better tomorrow.